Vinay recently moved from the great city of Mumbai to another great city, Singapore! He currently leads global Lifebuoy for Unilever at MullenLowe. 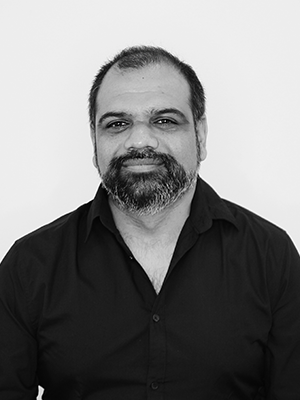 Vinay has over 17 years experience in advertising, the last six of which were spent developing campaigns across diverse markets like China and Brazil, Kenya and Indonesia, India and South Africa to mention a few! The startling similarities and differences between cultures and people keep him excited about what he does, every single day of the week. Vinay has previously also worked on BBC World, HSBC, and Mondelez (Cadbury chocolates). He loves exploring cities on foot, experiencing the joys of being the ‘Best Dad in the World’ to his daughter Leia and spending quality time with Jerry Seinfeld and Larry David.